Infection control is one of the most important aspects of health care, and it’s often the most difficult to manage. No matter how carefully cleaned a room, table, or piece of equipment is, everyone who passes by or touches it is constantly shedding microbes and bacteria, making it is easy to contaminate even the most sterile environment. A new study in infection control and sanitation procedures may help change that, providing an entirely new level of patient protection. There are quite a few effective procedures currently in place for patient protection and infection control. 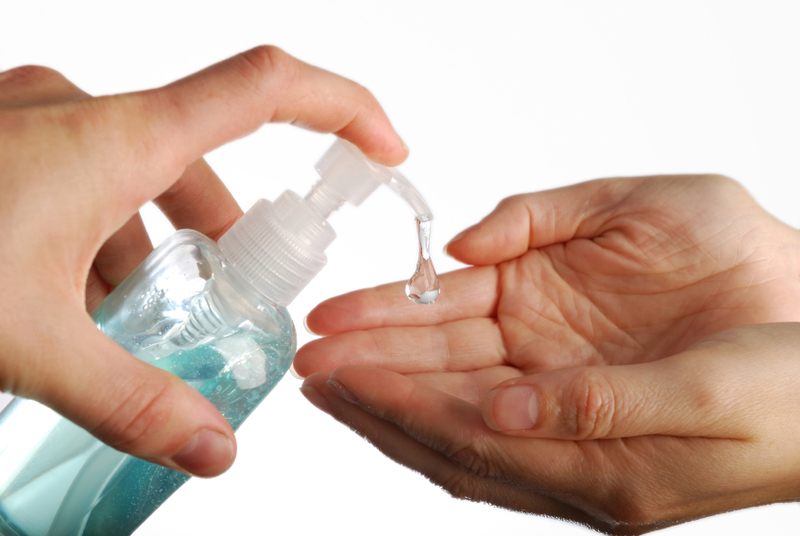 Strict hand hygiene rules, for example, reduce the patient-to-patient transmission of microbes, bacteria, and infections. Other techniques include environmental disinfection and a test for specific microbes or bacteria called point prevalence testing. The big problem with this type of testing is the amount of time it takes. It utilizes a culture-and-swab technique to detect any potential pathogens. Collecting the swab only takes seconds, but it can take days or even weeks to grow a culture. While medical professionals wait for cultures to grow, a dangerous pathogen can spread throughout a facility. One of the easiest ways to deal with bacterial flora in a medical facility is to use of sterile, single-use disposable tools and items — such as the swabs, scalpel blades, and needles you see every time you visit a doctor’s office. They’re designed to be properly discarded after each use. 1. Cleaning: Doctors clean tools manually then, clean them again using ultrasonic cleaners or automatic washers. 2. Inspection: Hospital staff visually inspects tools both for cleanliness and to make sure they work properly. 3. Packaging: Tools need to be packed in pouches, wrapped, or stored in rigid containers prior to sterilization. 4. Sterilization: There are a variety of means to sterilize packaged tools. Steam autoclave sterilization is the most common method — it’s both successful and cost effective. 5. Storage: After sterilization, storage must be in an area that minimizes the chances of contamination. Low traffic areas in a temperature-controlled office are ideal for this. 6. Quality Control: Doctors use physical, biological, and chemical indicators ensure the tools remain sterile during storage and eventual use. The successes of sterilization steps are heavily dependent on one important factor: whether the sterilization machine is functioning properly. Let’s look at an autoclave machine as an example. Depending on the tools being sterilized, there are pressure, temperature, and time variables to consider when using an autoclave machine. Older machines might require you to set those variables manually, while newer computer controlled autoclaves set automatically, hence the need for equipment calibration. When calibrating a machine, an engineer or the machine itself will run a series of tests to make sure that the pressure, temperature and time are all within acceptable parameters. Without calibration, you may find yourself using a less-than-sterile tool, wrongly assuming the autoclave functioned properly. An ounce of prevention is worth a pound of cure — and that’s why a collection of Italian researchers spent time finding a way to more effectively detect potential problems in a medical environment. The key to this breakthrough comes from not focusing on the pathogens themselves, instead focusing on the entire microscopic ecology present anywhere there are human beings. In this case, the researchers chose a dental office. Their test determined that the targeted microflora was present: mfDNA which lives in the mouth. They were also able to, after a surface was sterilized, determine if the sterilization was incomplete. The latter is something that traditional swab and culture tests fail to do. The system isn’t perfect yet, but it’s most definitely a step in the right direction. With the proliferation of multi-drug resistant bacteria and viruses, advances in sanitation procedures and testing are vital to ensure that patients in any setting are as protected as possible.